The annual National Staffing Employee of the Year program honors a current or former temporary or contract employee who best exemplifies one or more of the staffing industry's key messages—bridge and flexibility. The National Staffing Employee of the Year and his or her member agency will be announced to ASA members, the public, and the news media during National Staffing Employee Week, Sept. 16–22 and will be recognized during an award ceremony at Staffing World 2019, Oct. 15-17, in Las Vegas. ASA also recognizes finalists—if merited—in each industry sector: health care; industrial; office-clerical and administrative; professional-managerial; and engineering, information technology, and scientific. Watch videos that share the extraordinary success stories of former National Staffing Employee of the Year winners and All-Stars. Submissions are now being accepted. The deadline for applications is May 1. Want help in preparing your nomination(s)? Download the tips sheet. All-expense-paid, deluxe travel and hotel accommodations for Staffing World 2019, Oct. 15–17, in Las Vegas. Recognition during National Staffing Employee Week via a news release, social media, and the ASA website and publications. The ASA National Staffing Employee of the Year program is open to active ASA member agencies and branches. Member staffing agencies are free to nominate more than one temporary or contract employee. To qualify for nomination, the temporary or contract employee must have worked through the member agency sometime since May 1, 2018. The nominee must be able to travel to Staffing World 2019, Oct. 15-17, in Las Vegas, for a special recognition ceremony. It is strongly recommended that a representative from the nominator’s company also be available to travel to the convention. ASA must be able to disclose the name of the client company where your nominee works or worked in ASA publications, on the ASA website, and in other promotional materials, including a news release about the National Staffing Employee of the Year, Staffing Success cover story, and via social media. It is the responsibility of your company to gain permission from your client company to disclose its name. Please refrain from nominating an employee if you cannot guarantee that ASA can publish this information. Your staffing agency must confirm that the nominee understands that he or she will serve as a “face” of the staffing industry, and will be required to participate in a photo and video shoot (in his or her hometown) for public relations purposes. Meet Shaya De Oleo Medina, whose energy and work ethic helped her land the job she needed—with support from a stellar recruiter and staffing company. What are you looking for in a National Staffing Employee of the Year nominee? ASA is looking for a standout success story that can be shared with members and the public. To be strongly considered, the National Staffing Employee of the Year nominee must exemplify at least one of the industry's key messages of bridge and flexibility and have an amazing staffing success story to share. Take a look at the National Staffing Employee of the Year Tips sheet for a refresher on what these messages mean to the industry. Who can submit a National Staffing Employee of the Year nomination? Any active ASA member company representative can nominate a current or former temporary or contract employee for the National Staffing Employee of the Year distinction. Please note that the employee you are nominating must have worked for your staffing agency sometime since May 1, 2018. Can I nominate more than one National Staffing Employee of the Year? Yes! Feel free to nominate as many of your star temporary or contract employees as you see fit. Once selected, what does the National Staffing Employee of the Year receive? Recognition during National Staffing Employee Week. The National Staffing Employee of the Year will be announced to the news media on the first day of that Week. The ASA member staffing agency that nominates the next National Staffing Employee of the Year will also receive recognition in ASA publications and at Staffing World. Honorees and their staffing agencies can promote their awards by using special award logos, template news releases, and more. Where can I learn about past National Staffing Employee of the Year honorees? You can learn more about previous National Staffing Employees of the Year by reading their cover stories in Staffing Success magazine (requires ASA username and password for access). Their stories should give you a good sense of what ASA is looking for in a future National Staffing Employee of the Year. 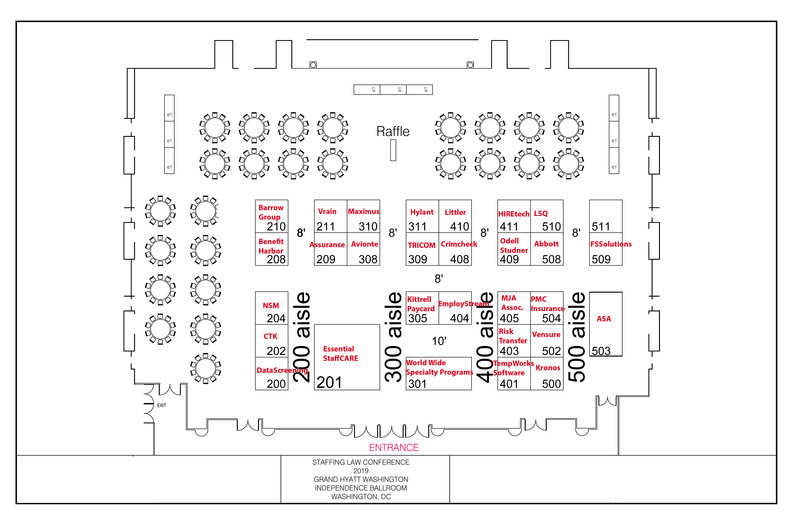 Will the National Staffing Employee of the Year need to be present at Staffing World? Yes. The National Staffing Employee of the Year must be able to travel to Staffing World 2019 to be recognized during a special recognition ceremony. It is also strongly recommended that a representative from your company be present at the conference. Are recruiters eligible to be nominated for the National Staffing Employee of the Year program? No. The National Staffing Employee of the Year program is only open to current or former temporary and contract employees. Who can I contact if I have additional questions about the nomination process? You can send any National Staffing Employee of the Year-related questions to NSEY@americanstaffing.net or call 703-253-2020 and ask to speak with a member of the ASA public relations team. I'm ready to send in a nomination. When is the nomination deadline? Submit your nomination form(s) by May 1. 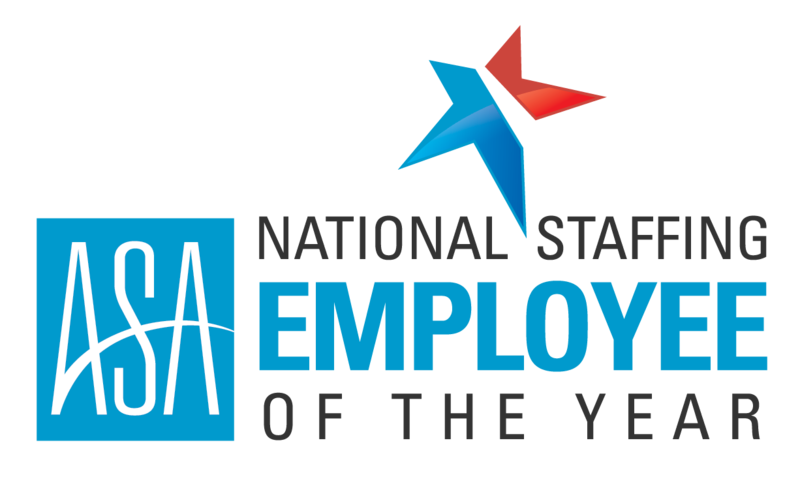 An ASA representative will reach out to you, if your outstanding temporary or contract employee is selected as the next National Staffing Employee of the Year or an industry sector All-Star.